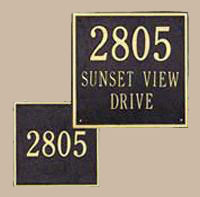 These address plaques are available in a variety of finishes to make matching your house easy! 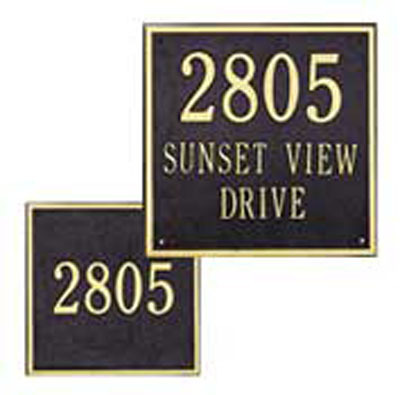 Constructed of cast aluminum with a heavy duty powder coat finish, these address plaques can withstand any weather condition. Available in two sizes and one, two and three line versions!